Learn to be a leader...the way leaders do! This ‘new’ method identifies secrets of how actual leaders developed and puts it into a ‘new’ method that you can use. Learn to be a leader...the way leaders do! Leadership development methods have tried to create leaders by studying leader behavioural traits and training others to learn those qualities. But, this is not how leaders learned to lead! 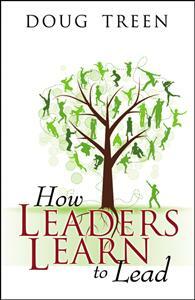 The book unearths the secrets of how actual leaders developed into leaders. From this data the Bootstrap Leadership Development method is developed from the unique childhood leadership roots of each leader creating a lifetime of focus and practice. Coaching guidelines are included as a ‘new’, but proven method of leadership development.